Have you ever wanted to build and race your own vehicle? With many old racing vehicles to choose from, what inspires a man to start with just a pile of old motorcycle parts and go it alone? Some racers might start with something finished, tested, and ready to go, but Dan Daughenbaugh is not your normal guy. No, he defines the term American Ingenuity by pushing forward with his own ideas of how a land speed bike should be built. Dan is the owner of Olde Glory Builders in Philadelphia, Pennsylvania, USA. 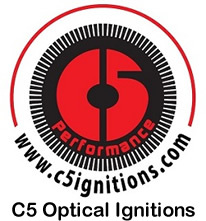 I met Dan via my career as owner of C5 Performance, makers of high quality optical ignitions. He explained what he was trying to accomplish and we gathered up the parts needed to convert an old Lucas Magneto system into the fire breathing ignition needed for Nitromethane land speed runs. 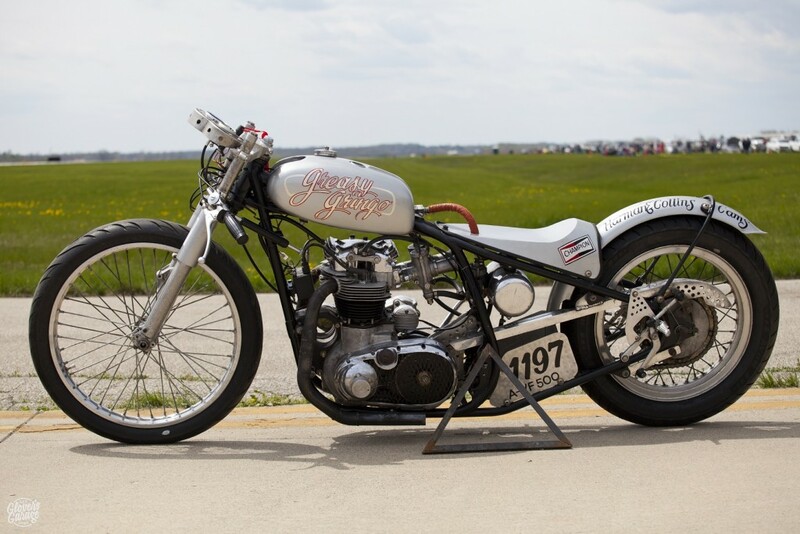 After the motorcycle build was complete, Dan hauled it to the Ohio Mile (a short version of what Bonneville offers) this past Spring. The old bike blitzed down the mile long runway and smashed the class record by a whopping 7 mph! 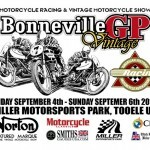 I grew up riding and racing dirt bikes amongst friends never but never in a sanctioned event. When I moved to Philadelphia, English street bikes and particularly BSA’s became my interest. 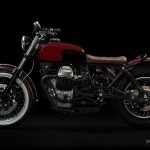 What inspired you to build this particular motorcycle? 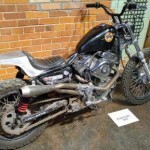 I had been toying around with the idea of putting a Land Speed BSA together before the summer of 2012. 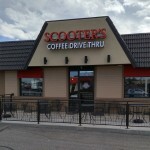 That year my wife had a family reunion in Salt Lake City one week before Speed Week. I emailed Wes White of Four Aces Cycle in CA asking if I could help out around the pits knowing he shared my passion for British marques. He said, “We will either bore you to death or put you to work” upon arriving an instant friendship was born and I came home with a bad case of “salt fever”. 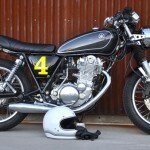 Did you start from scratch or convert a “complete” bike? The bike was built from parts, I traded a wheel for the front frame loop, and David Bird made the rear loop. While searching for a pre 1956 engine to put me into the vintage class a local Philadelphia bike shop burned to the ground. The guy was known for his British bikes and a week after the place cooled down they were having a fire sale. I went there with a few buddies and found the BSA A7 engine I was looking for. It was charred and black and all the pot metal parts had melted off but the cases were still good! Who helped you design and build the bike? I built and designed the whole bike in my garage in the city and later in my barn in rural PA.
How did you select our C5 ignition for your project? I found C5 Ignitions through judicious internet searching, I was aware that optically triggered ignitions were being used by lots of OEM mfg’s. I have always been a fan of using the technology from their huge R&D budgets in vintage motorcycles. There are several advantages that work really well for racing and cross over to the street for performance too. Just a few are lightning fast timing changes to total advance. 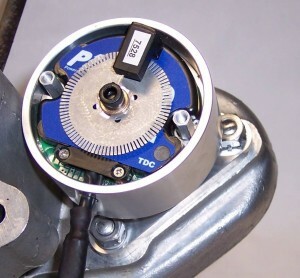 No more opening up the motor and using the degree wheel and Rizla paper in the pits, Just a simple switch of ground wires to make the change. Working out the engine internals was extremely time consuming. 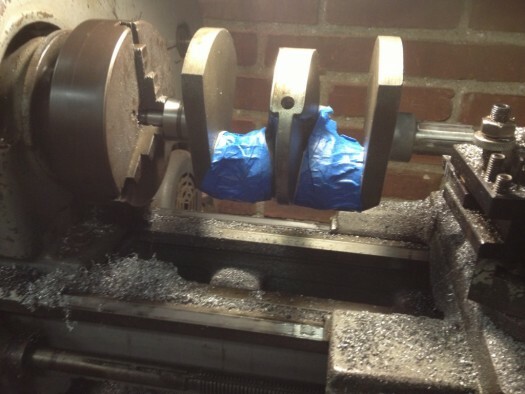 I’m running a crank from the 70’s that I machined in my barn to fit the early cases; Triumph 6.5 inch rods that I narrowed to fit the crank, Triumph Trident pistons, and a mix of homemade and Ford V8 Valve train components. The cam is a Harman and Collins roller that was made in the 60’s. 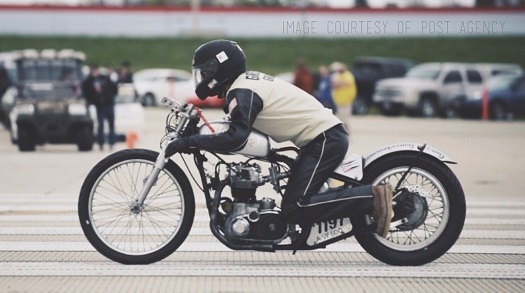 Is this your first attempt at a land speed bike? 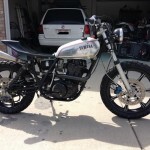 This is my first attempt at building a land speed bike, however I have been going to the salt for the past 2 years and Pit Crewing for Wes White. Is the race at Ohio the only race you’ve ran this bike? What races do you hope to attend in the next few years? I will be at Speed Week every year and plan on running the ECTA’s September meet and there upcoming events next year as well. After racing this, are there any changes planned? I am currently building a new exhaust for the bike to increase scavenging, to take advantage of the miles of overlap on the cam. DO IT! There is no other racing like Land Speed, its laid back. The people you meet are superb and the scale of the venue is unbelievable. What future plans you have for this bike or others? 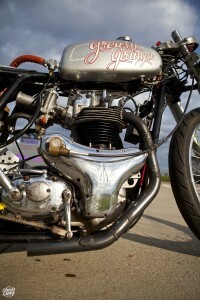 I currently planning and building a second bike to compete in the A-PBF650 class around a 650 Triumph mill. Would you like to add anything interesting we’ve missed? Look for us out at Speed Week In Aug we will have the Pennsylvania flag above our pit. For those of us wanting to be a bigger part of Dan Daughenbaugh’s racing success, you will find the upcoming movie about him and the following bits of biker information interesting.